Try this now. 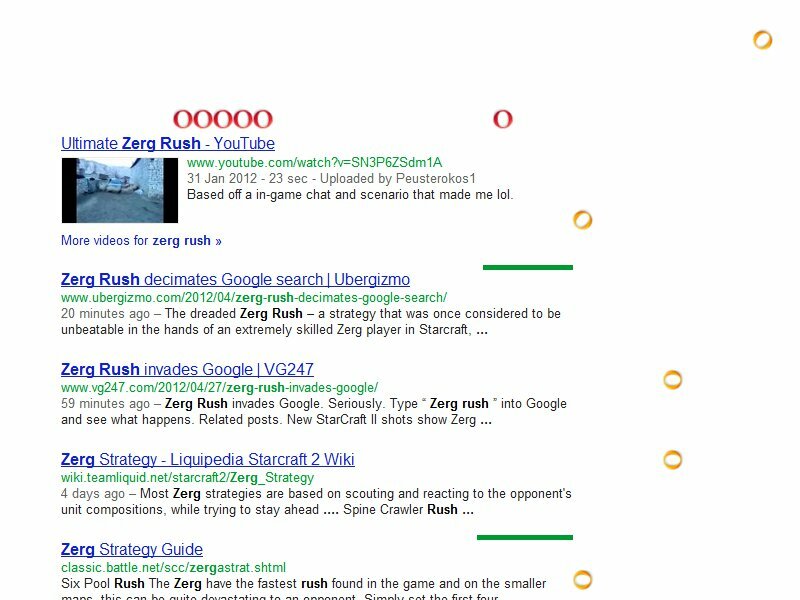 You can go to google.com and search for' zerg rush'. It is a strategy well displayed by Google. A live strategy.